MOBILE, Alabama -- Starting Sunday, the story of the last 14,000 years in Mobile will be on display at the new Archaeology Museum opening on the University of South Alabama campus. Culled from a university archaeological collection comprised of tens of thousands of artifacts, the museum highlights a past richer than most residents understand. The rarest items in the museum date back more than 10,000 years, a collection of stone spear points used by the region’s earliest residents. Artifacts from that era are hard to come by because the area the Gulf’s first native peoples inhabited is now underwater. The collection, he said, amounts to “the archaeology of us,” as citizens of south Alabama. From that trash, it is possible to glean insights into a long ago world. Archaeologists working at the university have investigated about 1,200 sites over the last few decades, Waselkov said. The collection fills several buildings. 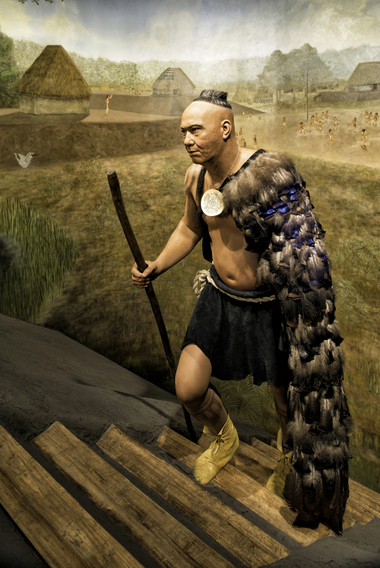 Beginning with the paleo-indian tribes 10,000 years ago, the museum walks visitors through the history of human habitation in the local area. Clay bowls and fragments of dishes testify to a rich Mississippian Native American culture centered in the Mobile-Tensaw Delta for more than 1,000 years. 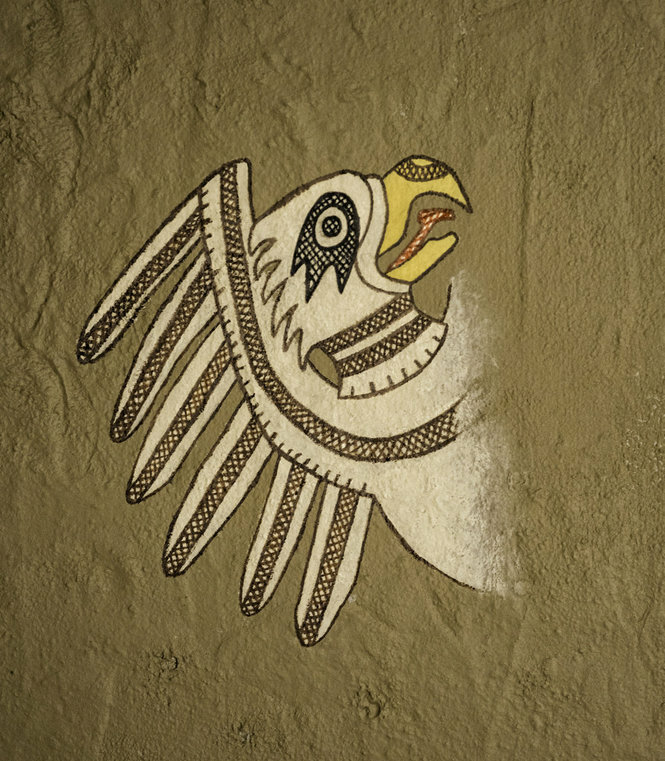 Symbolic imagery etched onto artifacts – images of falcons and other iconic animals – hint at a warrior culture. A peregrine falcon head in the collection calls to mind Mayan iconography, with bold, highly stylized lines. 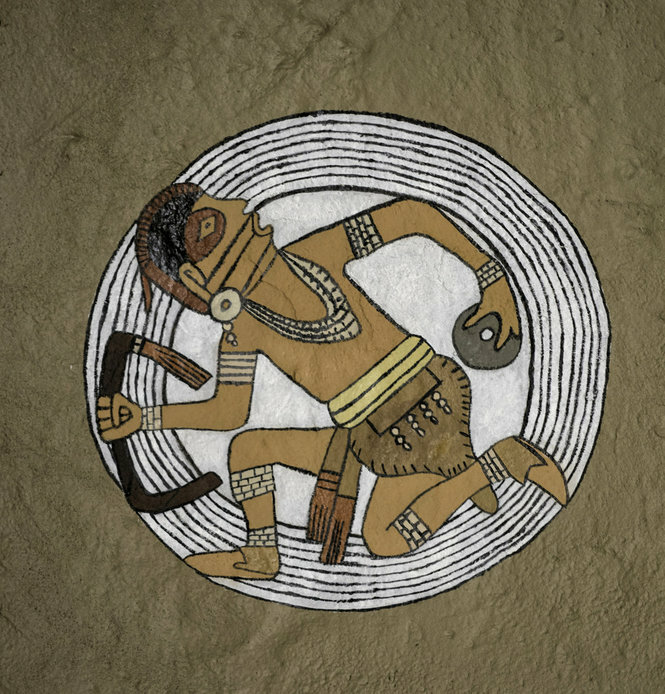 The museum also explores the culture’s sophisticated belief system, which divided the Earth into various realms, some open to the living, some to spirits, and others where the live and dead could interact. Among the artifacts discovered in shell mounds along the Blakeley River include copper beads. Those beads indicate that local tribes traded far and wide. The closest source of copper lies in the Great Lakes region. Spear points and sword hilts found in Baldwin County are used to document the invasion of the Spanish in the mid to late 16th Century. The museum captures the conflict between the native tribes and the waves of settlers arriving over a 200 year span. The collection is at its richest when documenting Mobile’s French colonial period. “We’ve dug so many French houses. That was our heritage in Mobile, French. I can’t believe the way the Alabama school textbooks still emphasize the English colonies on the Atlantic coast,” Waselkov said. Bits of fine china, small glass vials, weapons, all manner of artifacts, can be found beneath the streets and homes of Mobile, material that dates to the 1700s. One thing Waselkov said was revealed again and again in the old home sites that were excavated was the stunning amount of thievery in town. Numerous homes had items that had clearly been stolen from Fort Conti, he said. The collection also includes Civil War era artifacts tied to last great battle of the war, which was fought about two dozen miles away along the edge of the Blakeley River.